In this chapter, you’ll learn how and why to Split and Merge Subnets. Why Split and Merge Subnets? 1. Why Split or Merge Subnets? Splitting and Merging Subnets lets you use your IP address space more efficiently. A full Class C Subnet has 256 usable addresses. But if you only need 30, using the full Subnet would result in a waste of over 200 IP addresses. Splitting the subnet would allow you to get the number of addresses you need, without wasting the rest. In addition, making a smaller Subnet reduces network traffic, as messages on that Subset are broadcast to fewer addresses. Merging Subnets works the opposite. You may need a Subnet with 80 IP addresses, but instead have several smaller Subnets available. By merging smaller Subnets into one large one, you can use those addresses that might otherwise be wasted. Nectus also allows you to move Subnets to different IPAM Containers. This makes it easy to reallocate IP addresses from their current location to the physical Sites that need them. To Split a Subnet go to the Nectus Sites Panel and select IPAM > All IPv4 Containers. 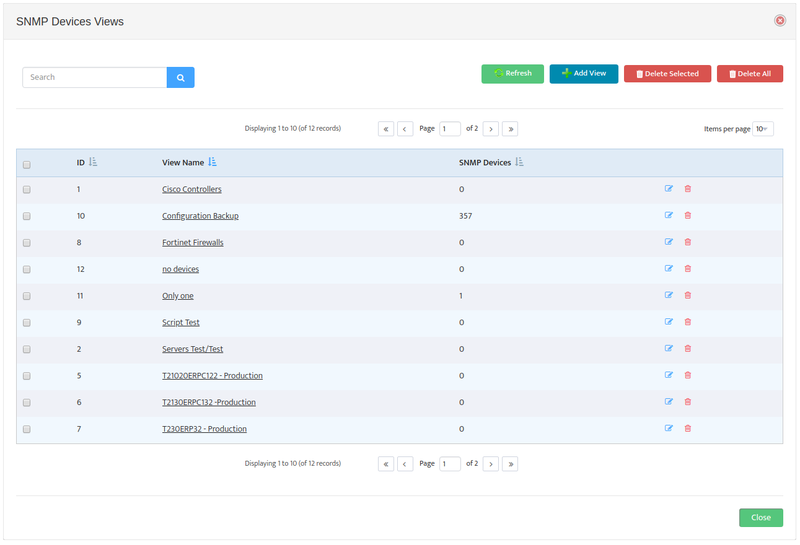 Nectus displays all existing IPAM Containers and any Unassigned Subnets. To see how many IP addresses are available in any Subnet, right-click it. 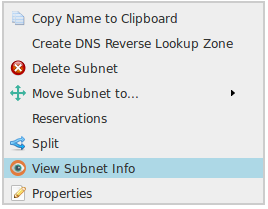 In the menu that appears, select View Subnet Info. This opens the “Subnet View Info” dialog box. The Total IPs field on the General Info tab shows how many IPs the Subnet contains. 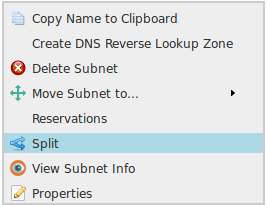 Navigate to the Subnet you want to split and right-click it. In the menu that appears, select Split. This opens the “Split Subnet” dialog box. 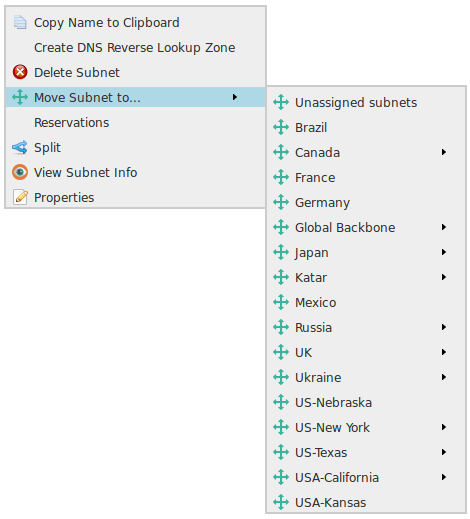 The New Subnet Size list shows you the ways you can split the selected Subnet. 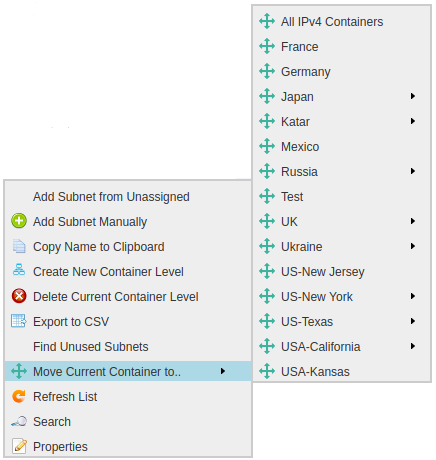 The Place New Subnets to: list allows you to assign the new Subnets you create to any existing IPAM Container. 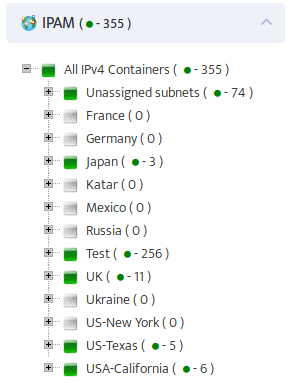 To Merge two or more Subnets go to the Nectus Sites Panel and select IPAM > All IPv4 Containers. Navigate to the Subnets you want to merge and select each one. The Subnets you want to Merge must be contiguous, as in the screenshot below. 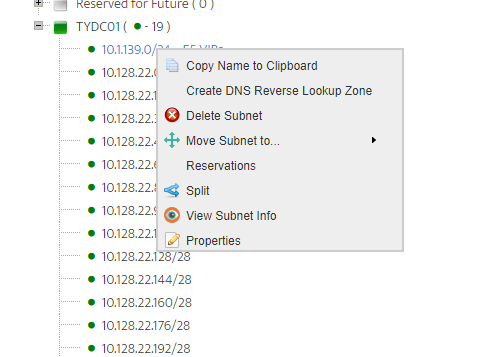 Right-click one of the Subnets and in the menu that appears, select Merge Subnets. This opens the “Merge Subnets” dialog box. The dialog box shows you which Subnets will be merged, and gives you the option to place the merged Subnet in any IPAM Container. 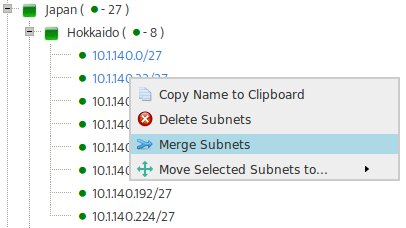 You can move a Subnet without Splitting or Merging it. 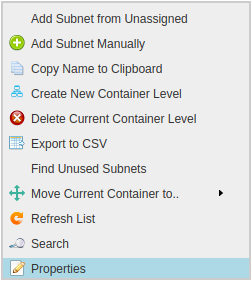 To move a Subnet to a different IPAM Container right-click the Subnet. 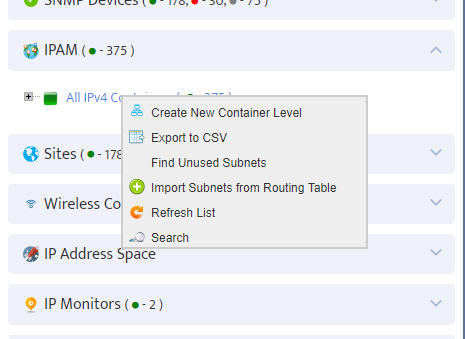 In the menu that appears, select Move Subnet to… and navigate the list of Containers to select the new location. As soon as you install your favorite Nectus IPAM solution the first question that comes to your mind is “How do I add all of the existing Subnets into new IPAM”? Let’s see what automation options does Nectus offer to ease your initial deployment pains. 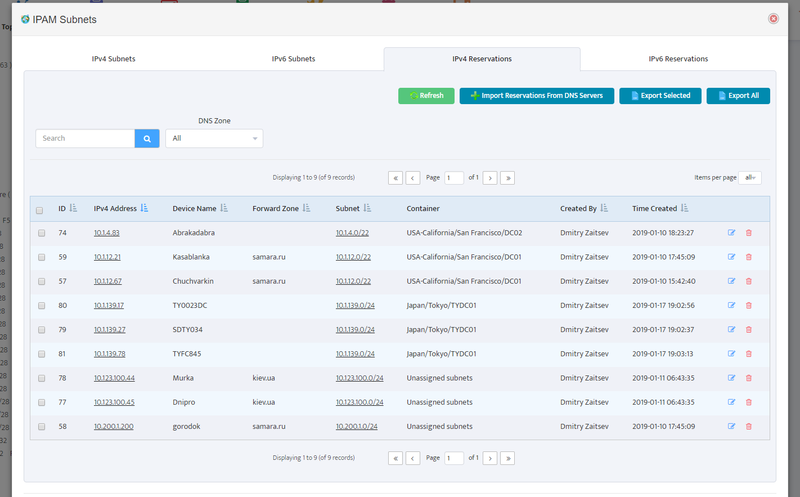 Importing most of your subnets from IGP is the primary way to get most (if not all) of your subnets into IPAM in a single click of the button. Just right click on IPAM container Tree and select “Import Subnets from Routing Table” Option. smallest (/32) to biggest (/8 and higher). Each new added subnet is validated against overlapping with any of the existing IPAM subnets. This logic ensures that summarized prefixes that are present in the routing table will not be added to IPAM. Nectus does not import any BGP subnets to prevent public Internet prefixes leaking into IPAM. You can repeat IGP Import several times with different Core routers if there is a reason to believe that different Core routers may produce different set of subnets. Importing subnets from DHCP Servers works similarly to IGP Import. 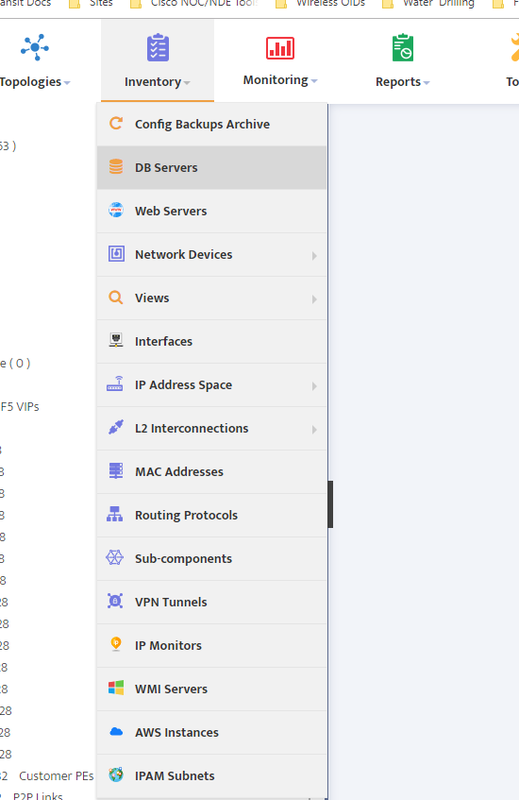 Right Click on any of the IPAM containers and Select “Import Subnets from DHCP” Option. 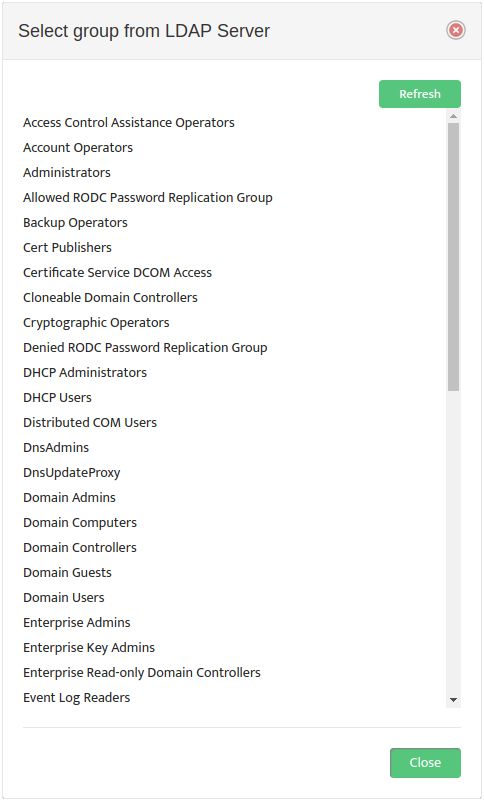 Nectus load all the DHCP pools from all the DHCP servers configured in “IPAM Integration” page and add those into IPAM database if they have not been already added during IGP Import Phase. All the subnets imported from DHCP Servers are validated against overlapping with any of the existing IPAM subnets. And final and still viable option is to Import your subnets from CSV File. 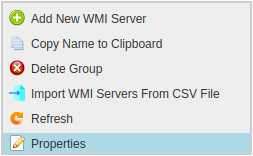 Select “Import from CSV” in context menu of any of the IPAM Containers to load your subnets from CSV File. Once you finished loading your “in-use” Subnets into IPAM next step is to identify what subnets are “available” since subnets that are not allocated yet will not be present in the IGP or DHCP Servers. To identify unused subnets Nectus takes your Address Space Subnets defined in IPAM Global integration page and excludes all of the “in-use” subnets to calculate list of subnets that can be presented as available. All available subnets will be added to “Unassigned Subnets” default IPAM container. Right-click on any IPAM container to access this menu option. 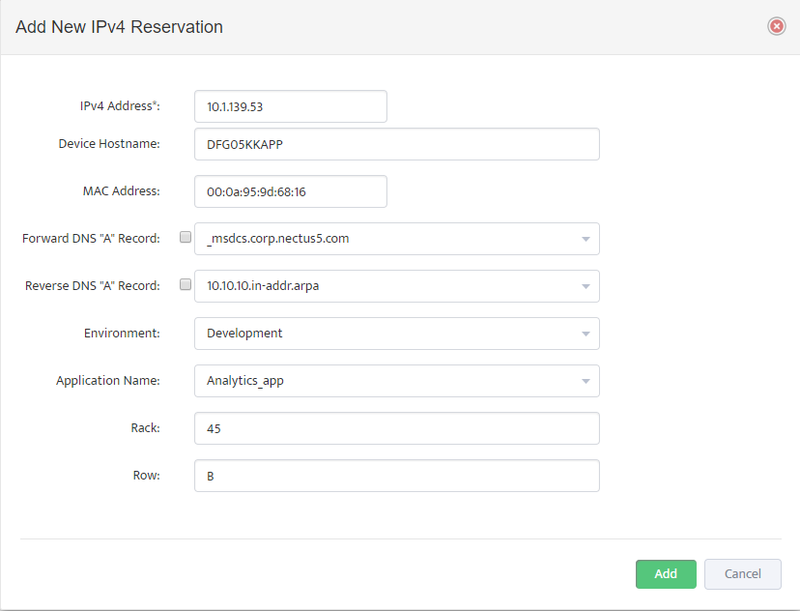 In this chapter, you’ll learn how to make IP reservations in Nectus IPAM. and right-click for context menu. 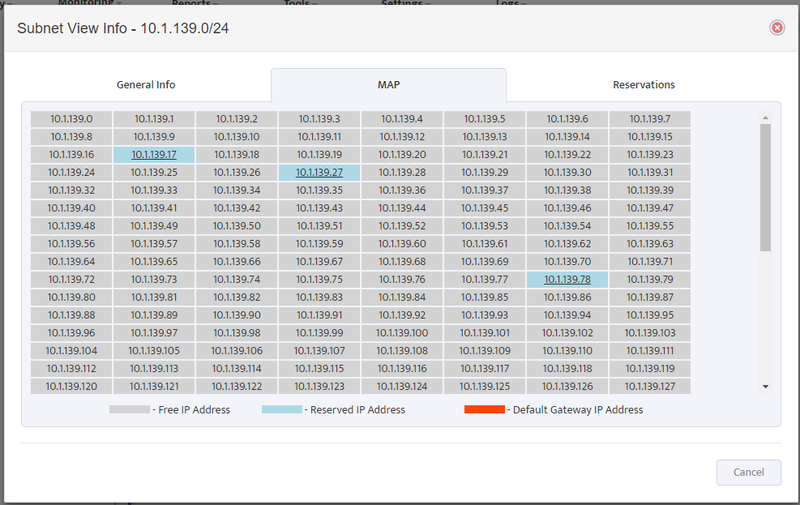 Click on “Reservations” option to bring up a list of current Reservations in this specific Subnet. 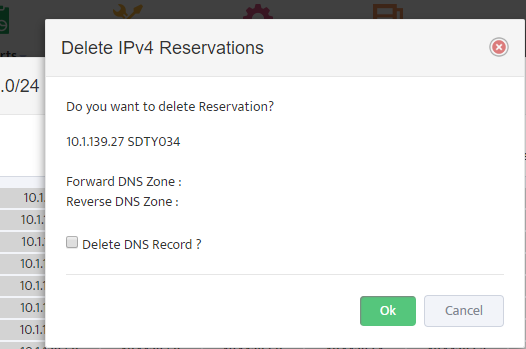 in forward and reverse DNS lookup zones with DNS Server configured on IPAM Integration Page. As part of reservation deletion process, you can also automatically delete DNS “A” records on DNS servers if those records were previously added during reservation creation process. 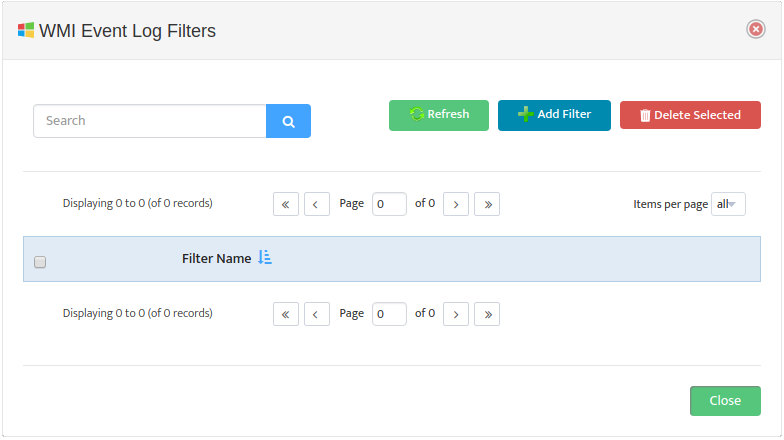 Table view provides multiple search and filtering options for any parameters defined for IP reservations. In this chapter, you’ll learn what IPAM Containers are and how to manage them. What are IPAM and IPAM Containers? 1. What are IPAM and IPAM Containers? IPAM stands for Internet Protocol Address Management. It is a system for managing the Internet Protocol (IP) address space used in a network. 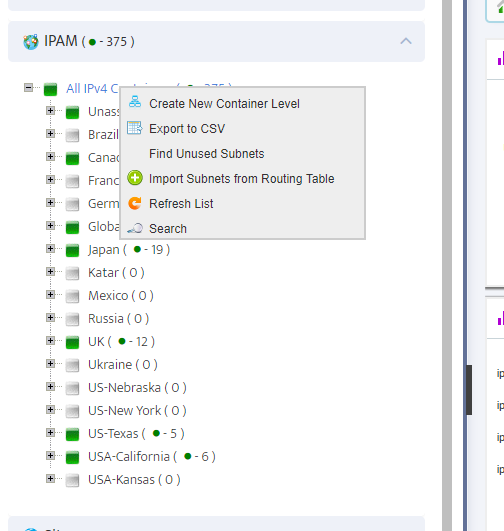 With IPAM you can see which IP subnets are in use and which site is using them. The Nectus IPAM Container model allows you to create a hierarchical structure for managing subnets and mapping them to physical Sites. To create an IPv4 IPAM Container go to the Nectus IPAM Panel and select IPAM -> All IPv4 Containers. Nectus displays any existing IPAM Containers. 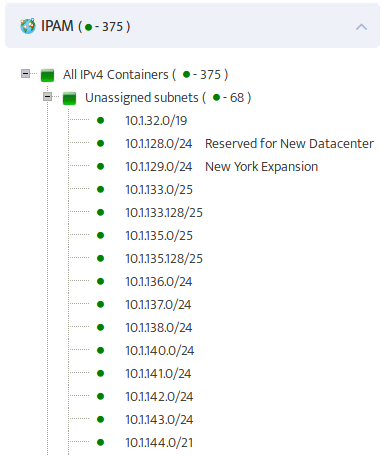 Containers that have subnets assigned to them are displayed in green, with the number of subnets they contain appearing to the right of the Container name. To add a new IPAM Container right-click an existing Container or All IPv4 Containers. 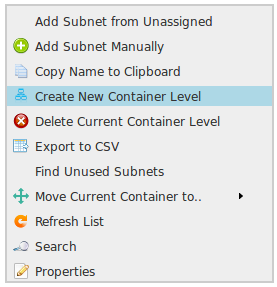 In the menu that appears select Create New Container Level. This opens the “Create New Container Level” dialog box. Enter the Container Level Name and click Save. The new Container appears in the hierarchy below the location shown in Container Path:. To move an IPAM Container right-click the Container Name. In the menu that appears, select Move Current Container to… and navigate the list of Containers to select the new location. To modify an IPAM Container right-click the Container Name. In the menu that appears, select Properties. This opens the “Edit Container Properties” dialog box. Edit the Container Level Name as desired. To modify an IPAM Container right-click the Container Name. In the menu that appears, select Delete Current Container Level. This opens the “Delete Container Level” dialog box. In this chapter, you’ll learn how to configure Nectus to work with Microsoft Active Directory and the LDAP protocol for user authentication. What are AD and LDAP? Why Configure Nectus Integration with AD/LDAP? 1. What are AD and LDAP? AD stands for Active Directory Domain Services. It is a Microsoft service that provides authentication and other services to devices on a network. It is an LDAP compliant database of users, groups, and other objects. LDAP stands for Lightweight Directory Access Protocol. It is an Internet standard for accessing distributed directory services. Nectus uses LDAP to communicate with AD. 2. Why Configure Nectus Integration with AD/LDAP? 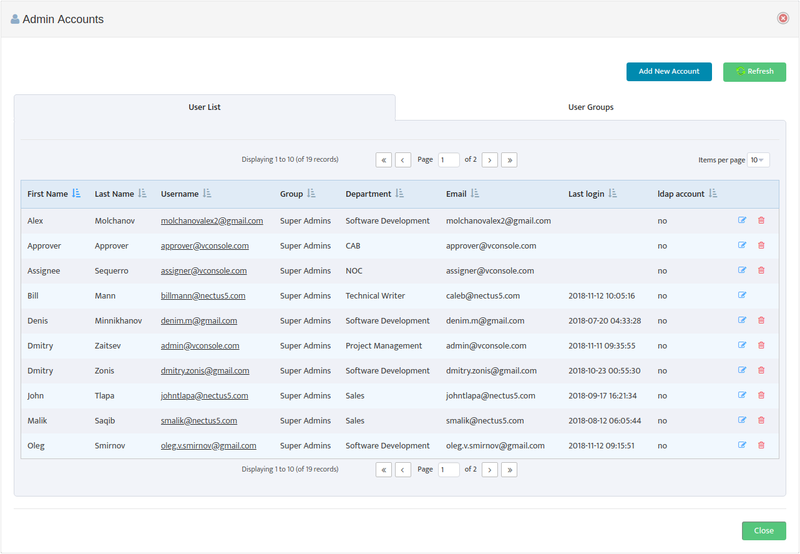 Configuring Nectus to integrate with AD/LDAP simplifies user management for large organizations. Like most applications, Nectus has its own local user authentication database. But when a organization has many applications maintaining separate user accounts for each application isn’t practical. The solution is to maintain user accounts in AD. Using LDAP, each application can query the AD database for the user authentication information it needs. This greatly simplifies user account maintenance. Nectus is designed to function on its own or integrated with AD/LDAP. Security settings are based on Local User Groups whether the User Account is stored locally, or in AD. 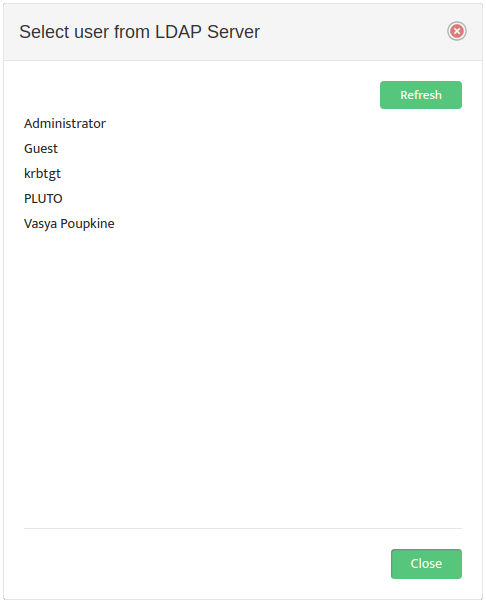 When a user logs in Nectus first checks to see if the active user has a Local User Account. If so, Nectus uses this account for the login. Note: To manage the Nectus Local User Accounts and the Local User Groups go to the Nectus Home Screen and select Settings -> Admin Accounts. This opens the “Admin Accounts” dialog box. See the article, “Creating User Accounts and User Groups” for details. If the active user does not have a Local User Account, Nectus checks to see if Active Directory integration is configured. If so, it checks to see if the active user has an account in AD. If the user has an account in AD, and the user’s LDAP Group Name is mapped to a Local User Group, Nectus uses the Local User Group settings. If there is no mapping to a Local User Group, Nectus checks to see if the active user’s LDAP Account Username is mapped to a Local User Group and uses those settings. If none of the above is true, Nectus denies the user access. Important: We recommend that you always maintain at least one Local User Account in Nectus to ensure access even if the AD/LDAP connection is down. To integrate Nectus with AD you need to configure the LDAP Server settings and enable LDAP. 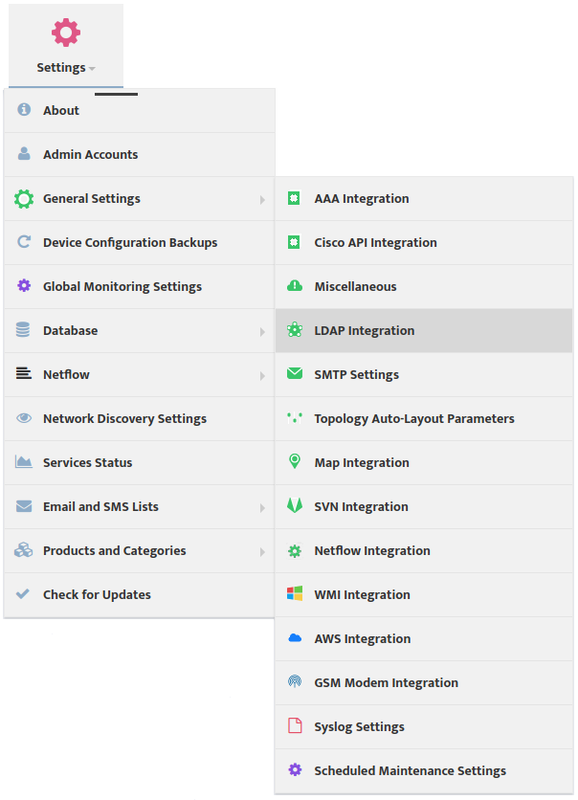 To configure the LDAP Server settings and enable LDAP go to the Nectus Home Screen and select Settings -> LDAP Integration. This opens the “LDAP Integration” dialog box. Select the LDAP Server tab and enter the LDAP parameters. You can see examples of the format for these parameters to the right of the relevant fields. Check LDAP Enabled. Mapping an AD/LDAP Group to a Nectus Local User Group causes the entire AD/LDAP group to inherit the security settings from the Nectus Local User Group. 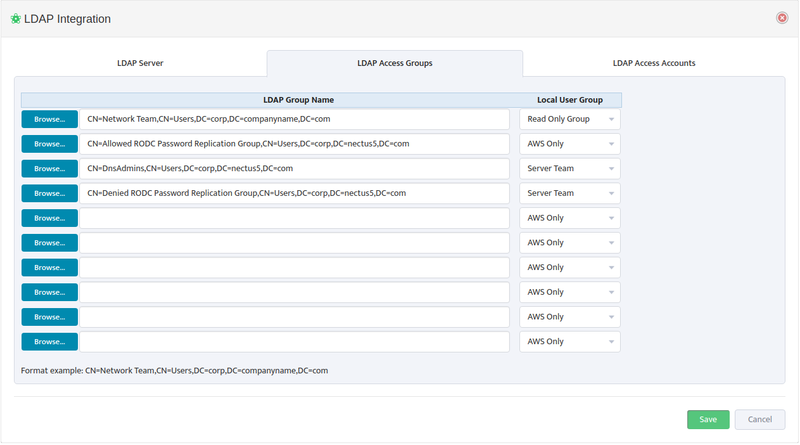 To map AD/LDAP Groups to Nectus Local User Groups, open the “LDAP Integration” dialog box and select the LDAP Access Groups tab. Use a Browse button on the left to open the “Select group from LDAP Server” dialog box and select an LDAP Group Name. Nectus returns you to the “LDAP Integration” dialog box. In the drop-down list to the right of the LDAP Group Name, select the Local User Group to map it to. An example of the proper LDAP Group Name format appears at the bottom of the dialog box. Mapping an AD/LDAP Username to a Nectus Local User Group causes the specific AD/LDAP User to inherit the security settings from the Nectus Local User Group. 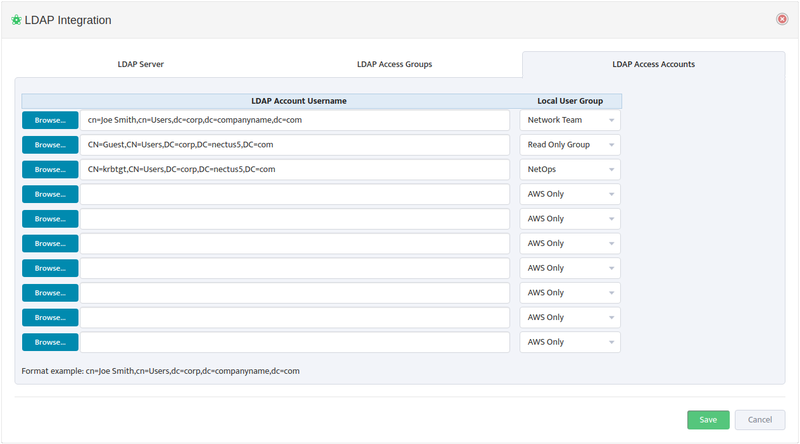 To map AD/LDAP Account Usernames to Nectus Local User Groups, open the “LDAP Integration” dialog box and select the LDAP Access Accounts tab. Use a Browse button on the left to open the “Select user from LDAP Server” dialog box and select an LDAP Account Username. Nectus returns you to the “LDAP Integration” dialog box. 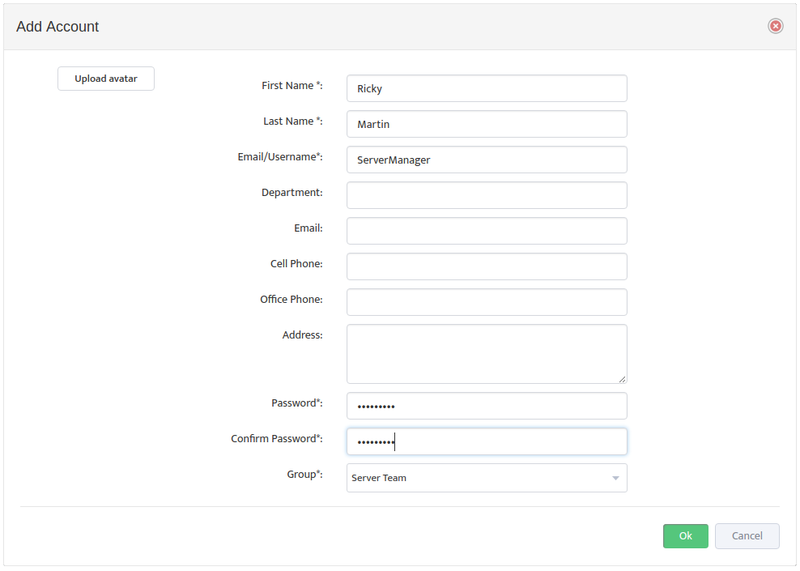 In the drop-down list to the right, select the Local User Group to map the LDAP Account Username to. An example of the proper LDAP Account Username format appears at the bottom of the dialog box. In this chapter, you’ll learn how to implement User Group based Device Access Restrictions with the help of Device Views. By assigning one of these Views to a User Group, you control which Devices the Users in that Group can see. Implementing Device View restrictions allows members of User Groups to focus on only those devices that are relevant to their work. 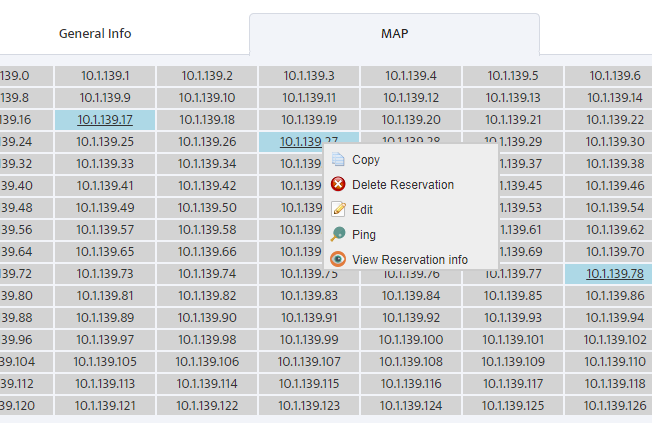 For example, if your company has three facilities, you might create one View for each facility, showing only the servers that are physically located at that facility. 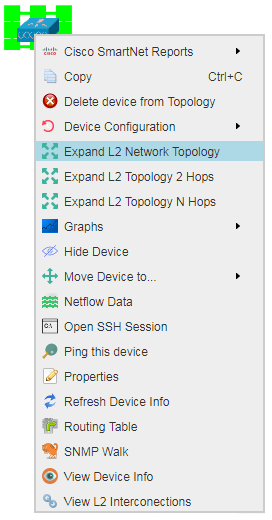 To create a Device View go to the Nectus Home Screen and select Inventory -> Views -> SNMP Device Views. This opens the “SNMP Devices Views” dialog box. 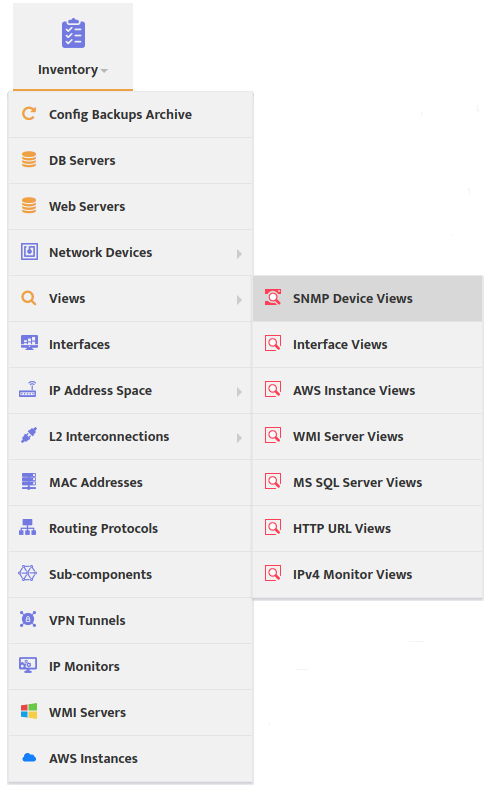 Click the Add View button to open the “Add SNMP Devices View” dialog box. 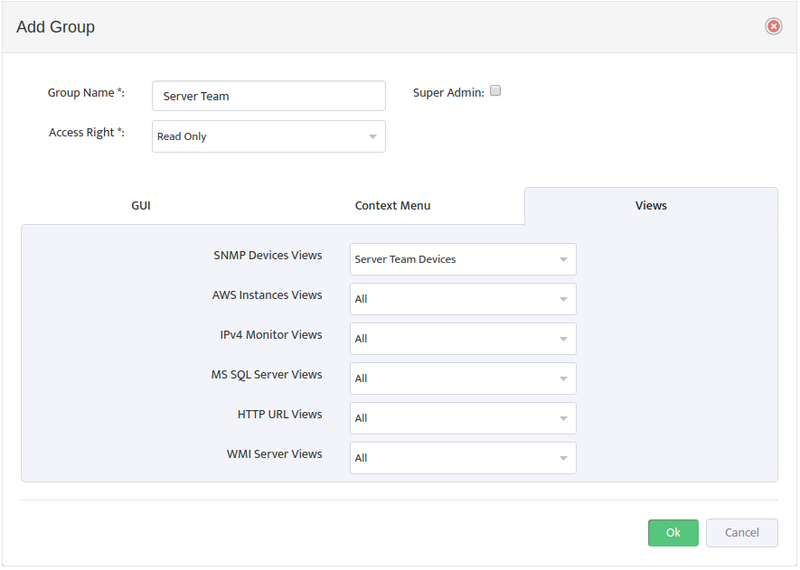 Create the new View by entering a View Name and adding Devices to the “Selected SNMP Device” list. 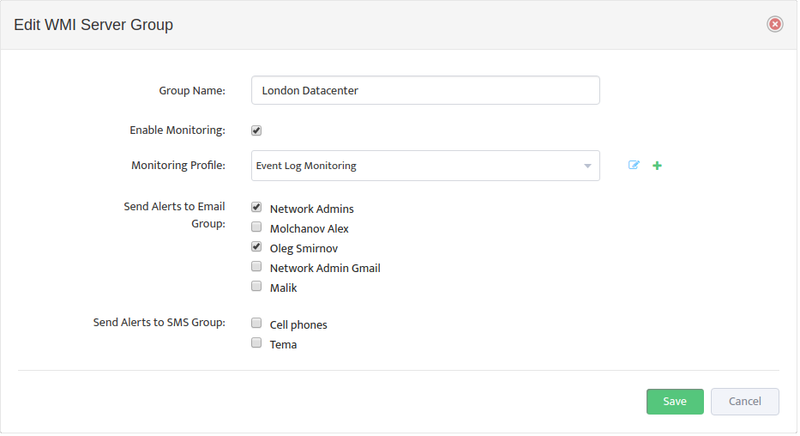 To create a new User Group go to the Nectus Home Screen and select Settings -> Admin Accounts. This opens the “Admin Accounts” dialog box. Select the User Groups tab. Click Add New Group to open the “Add Group” dialog box. Enter the Group Name and make any changes necessary for the GUI and Context Menu tabs. Select the Views tab. 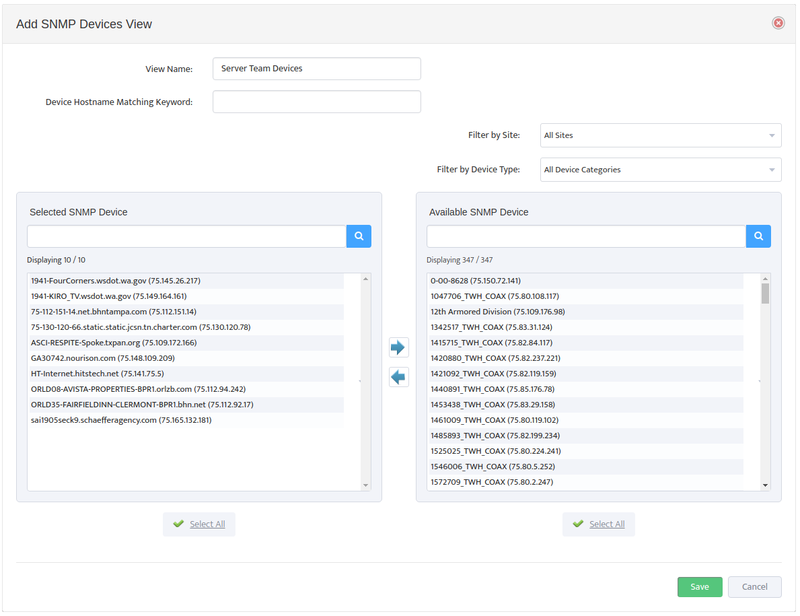 Select the Device View in the “SNMP Devices Views” drop-down list. Return to the “Admin Accounts” dialog box. Select the User List tab. Click Add New Account to open the “Add Account” dialog box. Enter the required information for the User and select the User Group in the “Group” drop-down list. Applying the Device View to the User Group results in Access Restrictions for the Users in that Group. 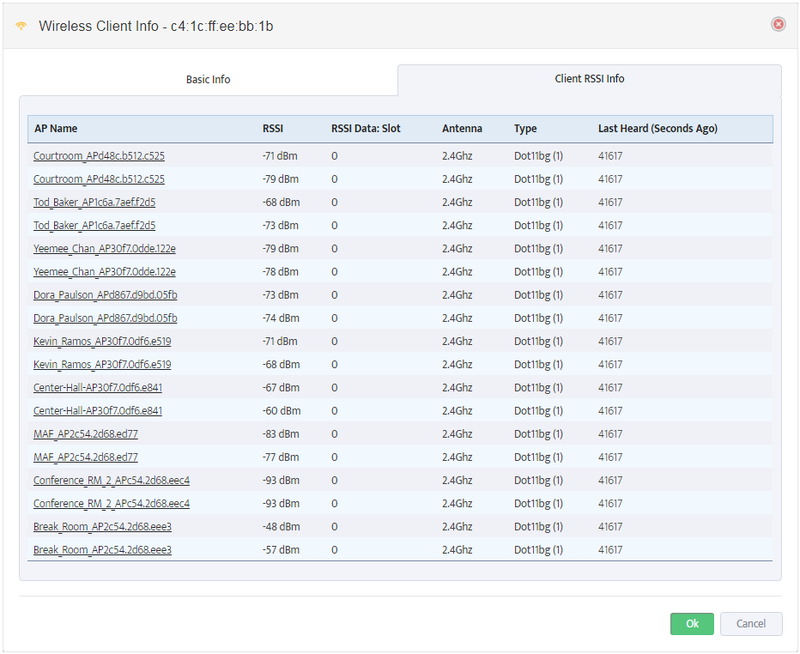 When a User from that group views the SNMP Devices Pane on the Nectus Home Screen, he can only see the Devices that were included in the Device View. When the User views the Sites pane, he can only see the Sites that contain Devices included in the Device View. 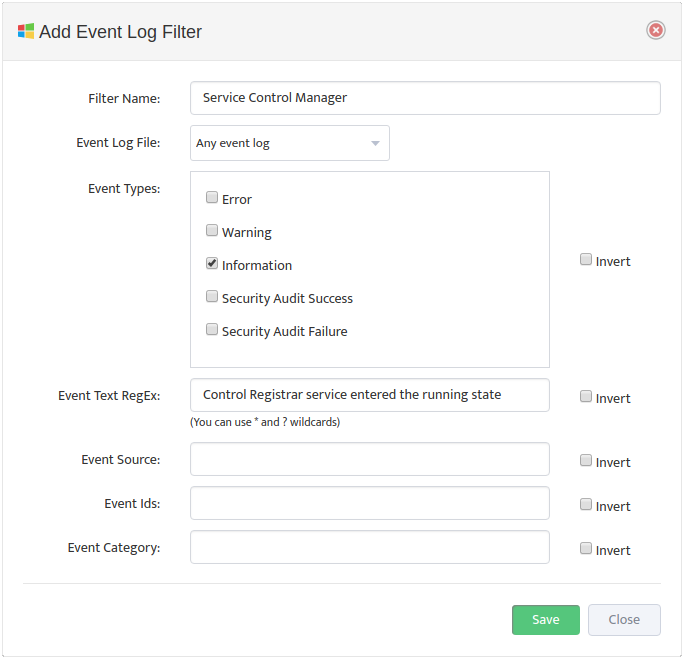 Nectus AWS monitoring does not require root user permissions to performs it’s actions. Actually it requires a small set of permissions, so it’s more secure and reasonable to have a special AWS user’s account having that minimal set of grants. This guide will show to create such user’s account. First login to the AWS console as a root user and choose IAM from the list of Services. When you see the following form, choose Users. Then select “Add user” on the following screen. Enter user name and enable “programmatic access” in the next form. They could be found using “Filter policies” field. After that click “Next: Review” button and you’ll see the following screen. Click “Create User” button. If everything is OK and the user was created in AWS then the following form will appear. You should store Access key ID and Secret access key of the user since they are required by Nectus Monitoring. Click “Download .csv” and store this file. Also you can click “Show” to display the secret access key on the screen. Last step is integrating AWS user’s access keys into Nectus Monitoring. 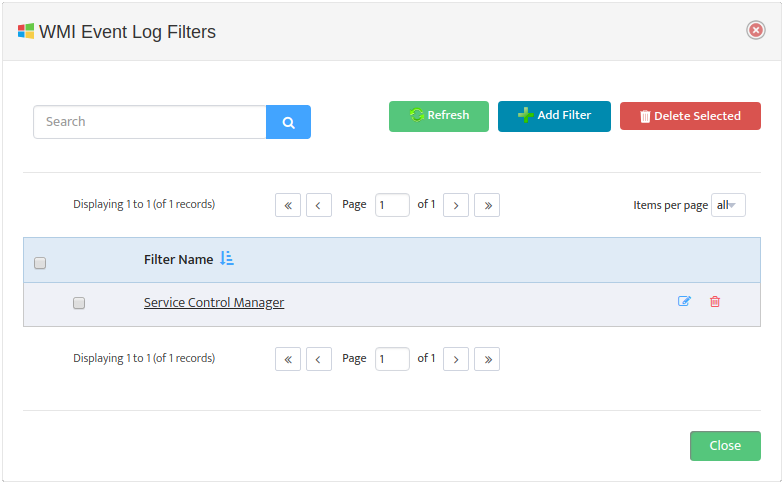 Select Settings -> General Settings -> AWS integration in the Nectus GUI. In the following form paste Access Key ID and Secret Access Key copied from AWS console (or from downloaded .csv-file). 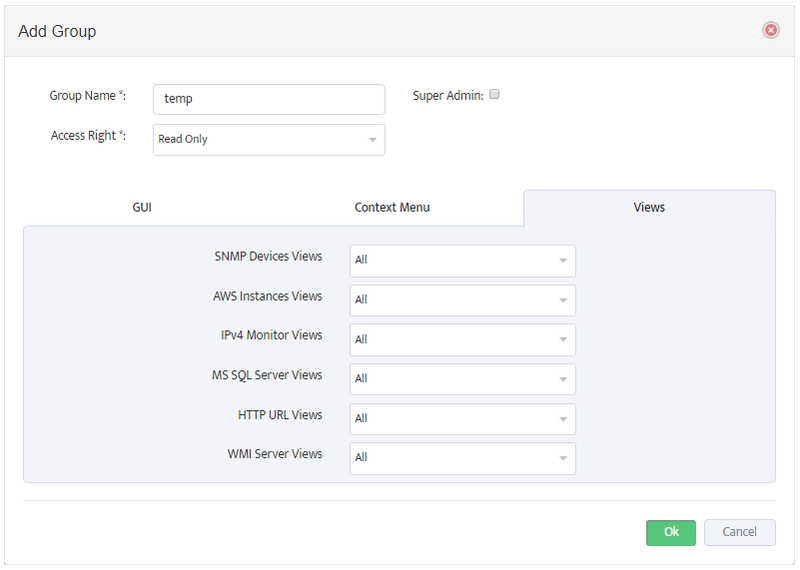 Click OK to save the changes and Nectus is ready to perform AWS monitoring and backup. In this chapter, you’ll learn how to create User Accounts and assign them to User Groups. You’ll also learn how to create User Groups and set their Access Rights. Every Administrator should have their own User Account. 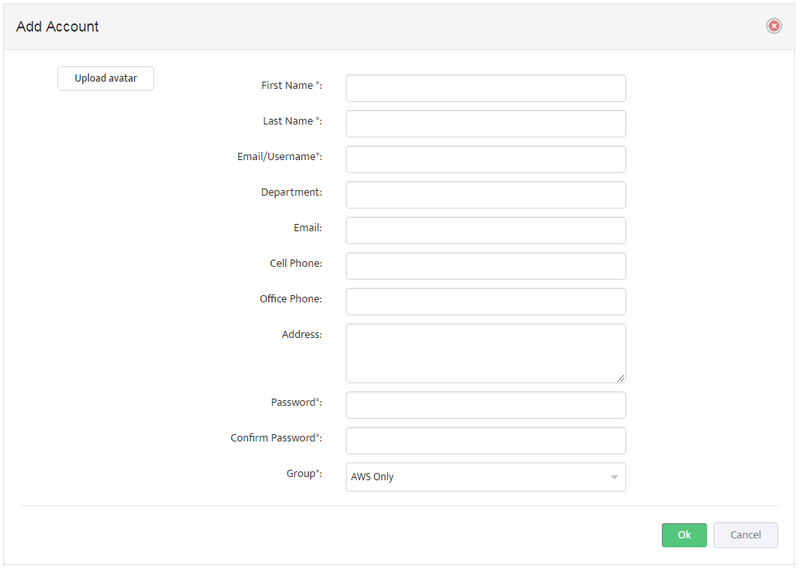 To create a new User Account go to the Nectus Home Screen and select Settings -> Admin Accounts. This opens the “Admin Accounts” dialog box. Select the User List tab and click Add New Account to open the “Add Account” dialog box. Enter the information for the user. Fields marked with an asterisk ( * ) are required. The group you assign determines the User’s Access Rights. 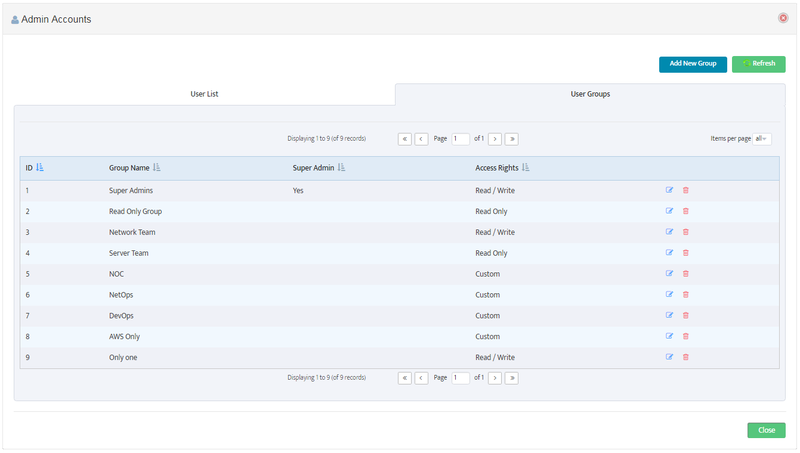 You can assign the User to an existing Group, or create a new Group. To create a User Group return to the “Admin Accounts” dialog box and select the User Groups tab. Click Add New Group to open the “Add Group” dialog box and enter a Group Name. Note that you can use the icons to the right of the Group Names to edit or delete an existing User Group. Select the Group’s Access Rights from the drop-down list. Selecting “Read Only” or “Read / Write” rights sets all the GUI and Context Menu options to those values. Selecting “Custom” rights allows you to set each GUI and Context Menu item individually. The options are “Read Only”, “Read / Write”, and “Hide”. Select the Views tab to specify which views the User can see. The drop-down list next to each view lists the items that will appear for that view. Setting “SNMP Devices Views” to “Cisco” for example causes only Cisco devices to appear in the SNMP Devices section or the Sites Section. 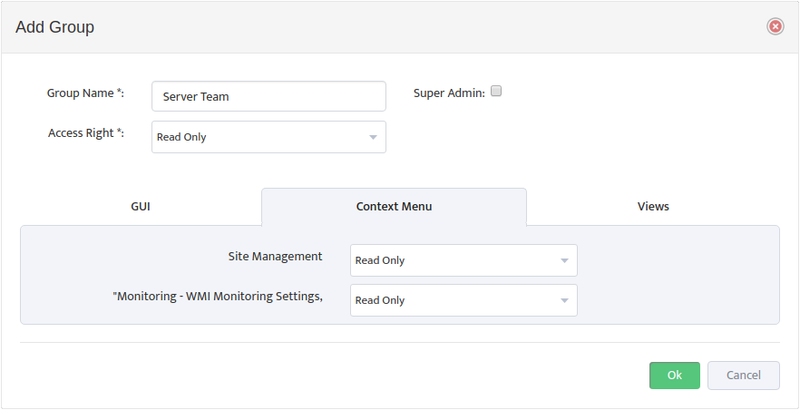 You can also designate the User Group as a “Super Admin.” Your installation must always have at least one Super Admin Group to ensure that Users have access to the system. 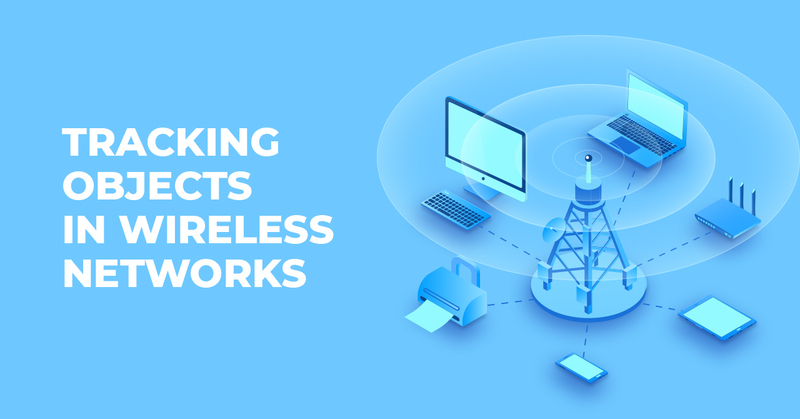 Troubleshooting of any wireless problems usually starts with determination of specific Access Point where client is currently associated with and tracking wireless client’s roaming behavior in time. Access Point detection helps to understand current RSSI levels at given selected channel and presence of alternative AP at the client’s location. 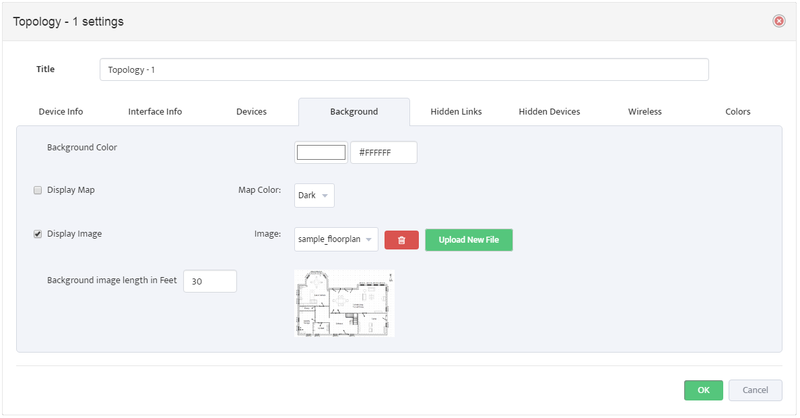 Nectus provides basic tools that make locating and tracking wireless objects an easy task. 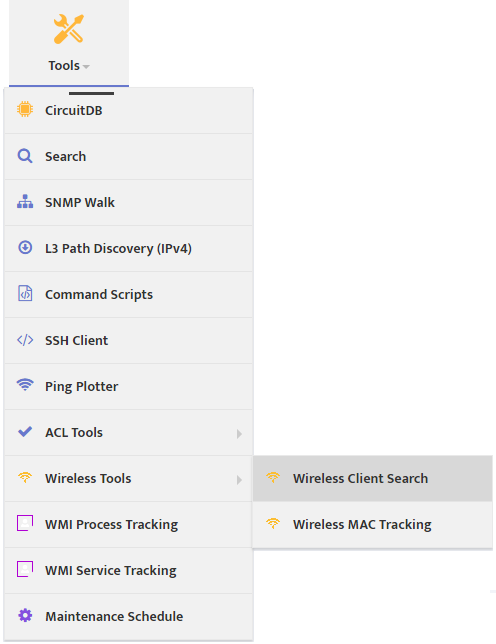 The Wireless Client Search tool shows you which access point (AP) a Wireless Client is connected to right now. 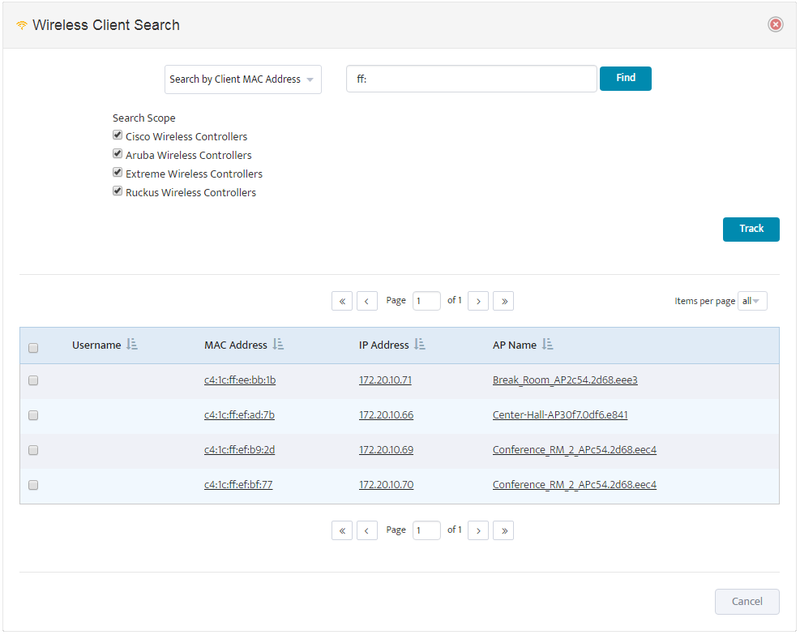 To use Wireless Client Search go to the Nectus Home Screen and select Tools -> Wireless Tools -> Wireless Client Search. This opens the “Wireless Client Search” dialog box. Search for the wireless object by entering all or part of the Client MAC Address, IP Address, or Username. Set the Search Scope by checking any of the supported Wireless Controller types. The search returns any matching objects in a table. Click the MAC Address of the object to see all the Basic information the system has about that object. 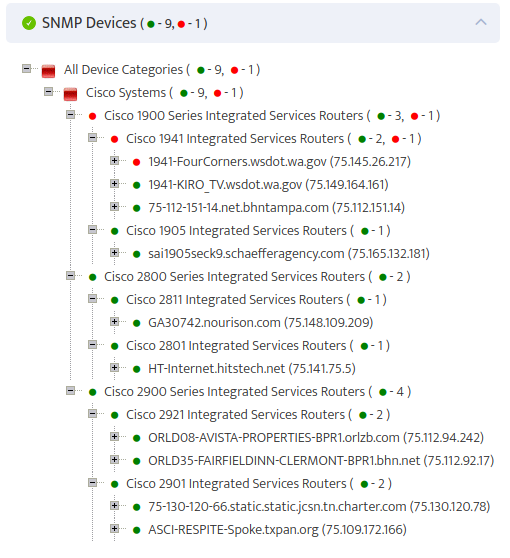 Click the Client RSSI Info tab to see the RSSI (Received Signal Strength Indication) for every access point the object can detect. 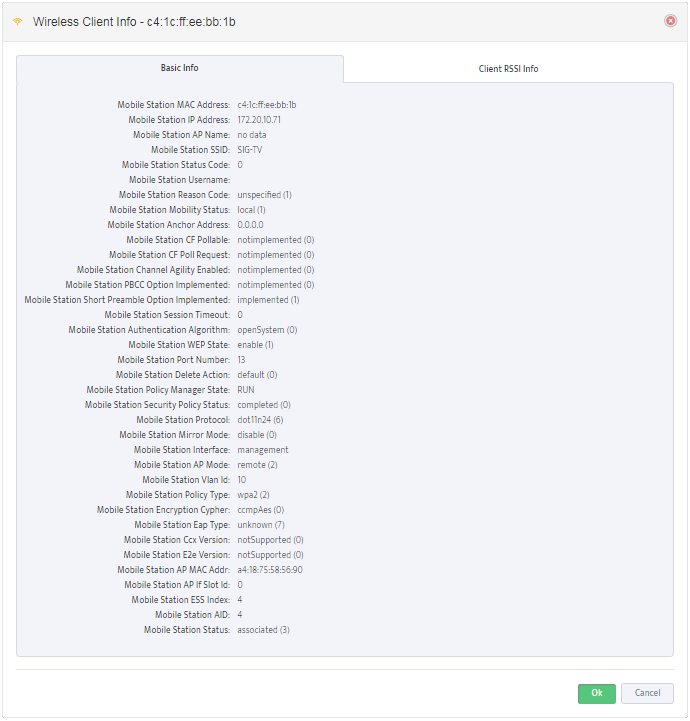 The Wireless MAC Tracking tool is useful for troubleshooting intermittent problems. It uses the object’s MAC address to record which AP the object is connected to over a period of time. 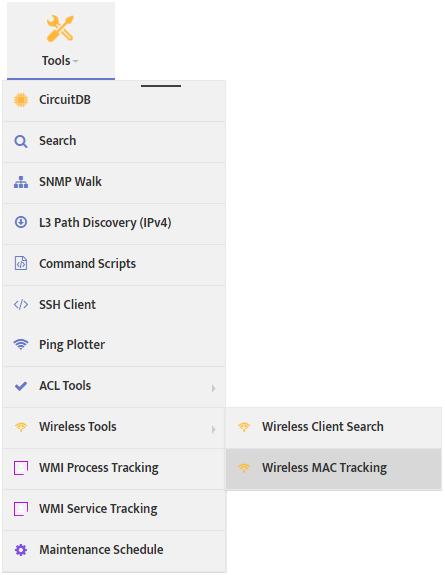 To use Wireless Client Search go to the Nectus Home Screen and select Tools -> Wireless Tools -> Wireless MAC Tracking. This opens the “Wireless MAC Tracking” dialog box. 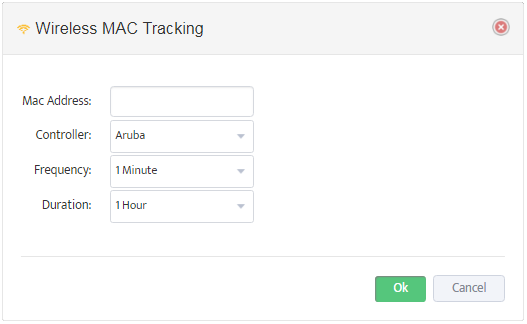 Click Add to begin tracking a MAC Address. 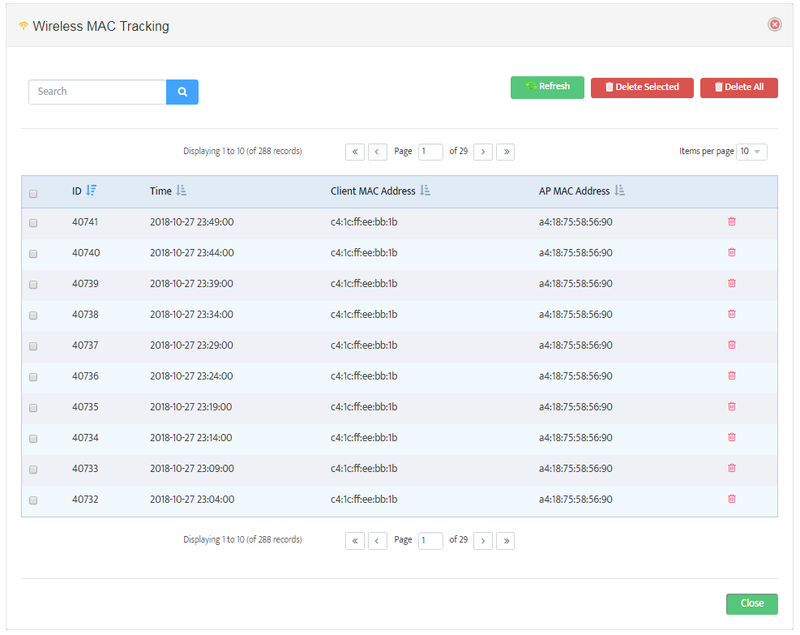 Enter the MAC Address you want to track, the Controller type, the Frequency of recording data, and the Duration of time you want to track the MAC address. Once the Duration is complete, you can see the results by clicking the View MAC Tracking icon. Wireless Heat Map is the visual representation of the wireless signal levels at different locations of specific selected area. and overlay resulting signal levels on top of area map with a known dimensions. 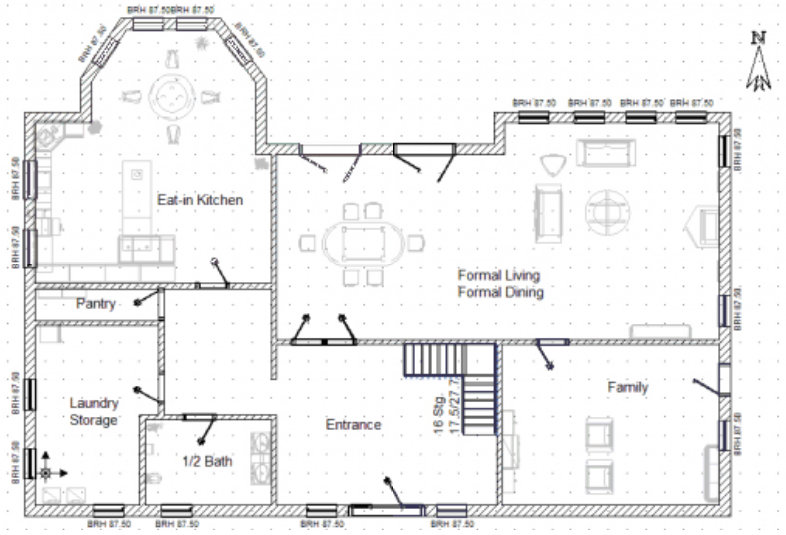 In this chapter, you’ll learn how to generate Wireless Heat Maps of any area. 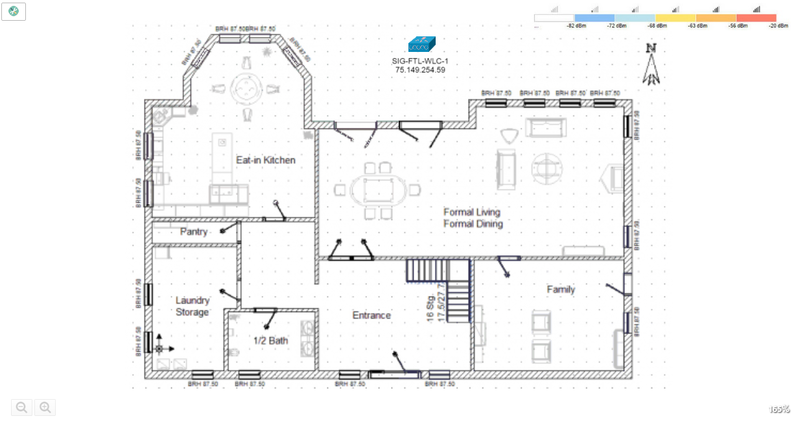 The Background Image shows the physical layout of the area that will be included in the Heat Map. The image needs to be scaled with equal proportions horizontally and vertically. PNG and JPEG image formats are supported. You will need to be able to enter the corresponding length of the image, in feet, to create an accurate Heat Map. Create the Background Image before proceeding to Step 2. Once you have the Background Image prepared, you will need to create a new L2 Topology for your Heat Map. 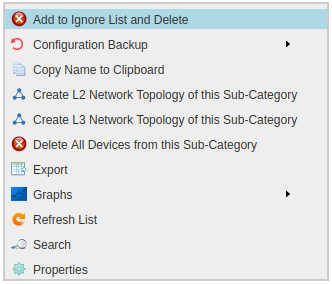 To create a new L2 Topology go to the Nectus Home Screen and select Topologies -> Start New L2 Topology. An empty L2 Topology appears. 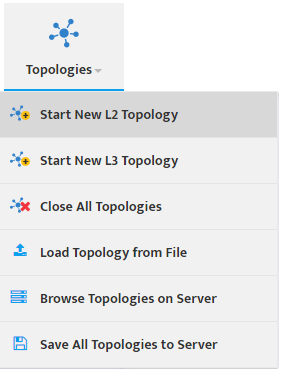 To place the Background Image in the Topology, click the L2 Topology Settings icon to open the “Settings” dialog box then select the Background tab. Check the Display Image check box and load the Background Image you created in Step 1. Enter the horizontal length of the Background Image (in feet) in the Background image length in Feet field. Once the Background Image is visible in the Topology you can resize and reposition it as desired. Find the Wireless Controller for this area in the Wireless Controllers section of the Sites Panel and drag it onto the Topology. Click the Settings icon to open the “Settings” dialog box. Select the Wireless tab. Check Show Wireless APs along with any other options you want displayed on the Heat Map. Nectus includes a large collection of Wireless AP icons you can use to customize the map. Once you click OK the Heat Map reappears with a color-coded scale of signal levels. Now you need to expand the Topology. 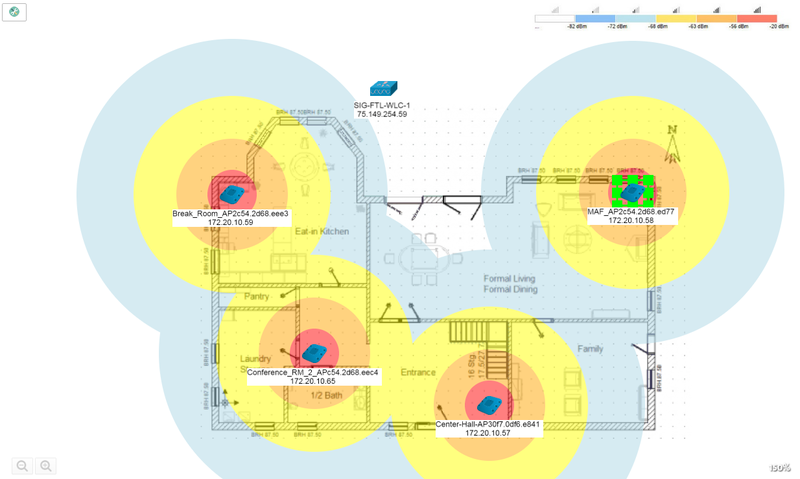 This displays the Wireless Access Points that are connected to the Wireless Controller. To expand the Topology, right-click the Wireless Controller icon and select Expand L2 Network Topology. This opens the “Expand L2 Network Topology” dialog box. 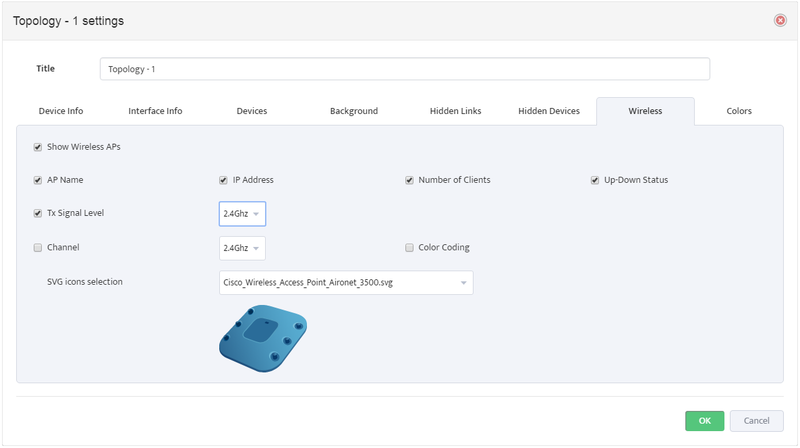 Select the Wireless tab and expand the All Wireless Controllers list to see the Wireless APs connected to the controllers in the Topology. Check the Wireless APs you want to include in the Heat Map. 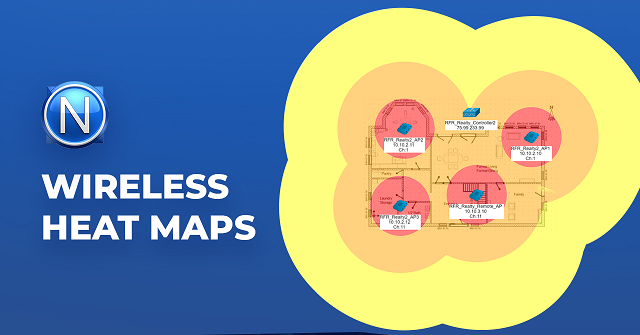 Click Generate Topology to add the selected Wireless APs to the Heat Map. Drag each Wireless AP to its physical location on the Background Image. Once you do this, the Heat Map will show wireless coverage for this area. In this chapter, you’ll learn how to enable monitoring and create monitoring groups for SNMP Interfaces. During the Discovery phase all network Interfaces are automatically added to the group called “No Monitoring Group.” This group has all monitoring functionality disabled and serves as a parking space for all unmonitored Interfaces. 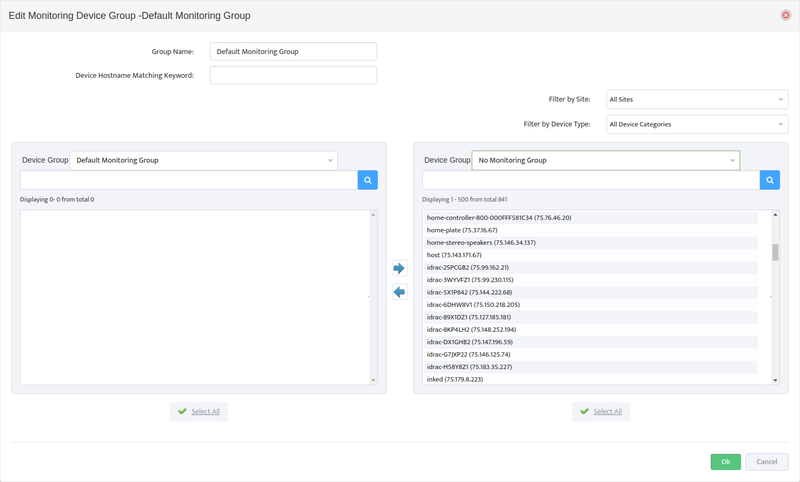 To enable monitoring for a particular Interface you must move that interface from the “No Monitoring Group” to any group that has the monitoring checkbox set to “ON” and has a Monitoring Profile assigned. 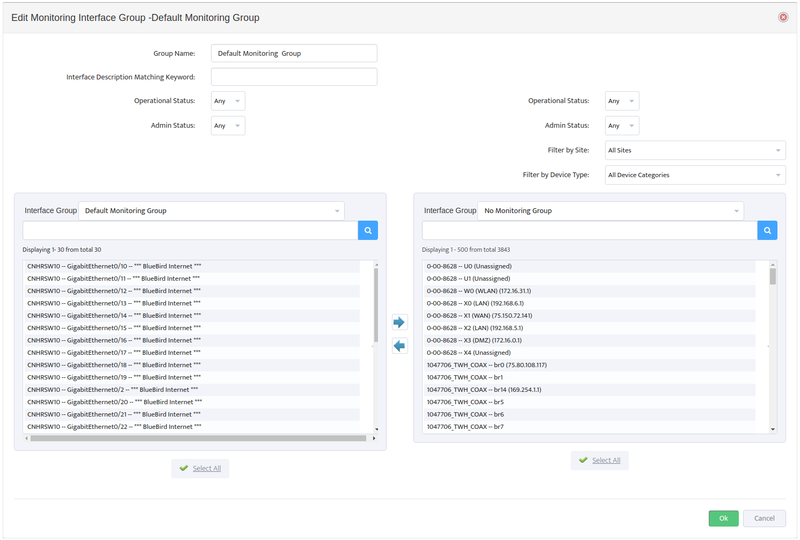 To create and activate SNMP Interface Monitoring Groups go to the Nectus Home Screen and select Monitoring -> SNMP Monitoring Groups -> Interface Monitoring Groups. This opens the “Interface Monitoring Groups” dialog box. No Monitoring Group – Interfaces in this group are not being monitored. Default Monitoring Group – Interfaces in this group are monitored by Nectus. Click the Add Group button to open the “Add Monitoring Interface Group” dialog box and create an additional Monitoring Group. To monitor a group, check its Enable Monitoring box in the “Interface Monitoring Groups” dialog box. Next select the Monitoring Profile you want to use for the Group. See the next section for more information on Monitoring Profiles. Then click the Edit Alert Recipients icon to open the “Alert Recipients” dialog box and select lists that specify who will receive alerts from this particular Monitoring Group and Profile. Each Monitoring Group must have a Monitoring Profile that determines which parameters are monitored. 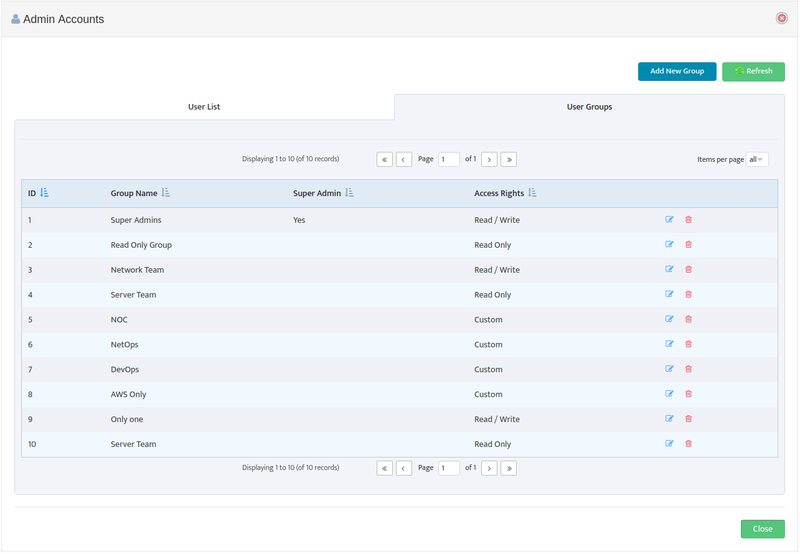 You can customize each Profile, and create individual Profiles for each Monitoring Group. 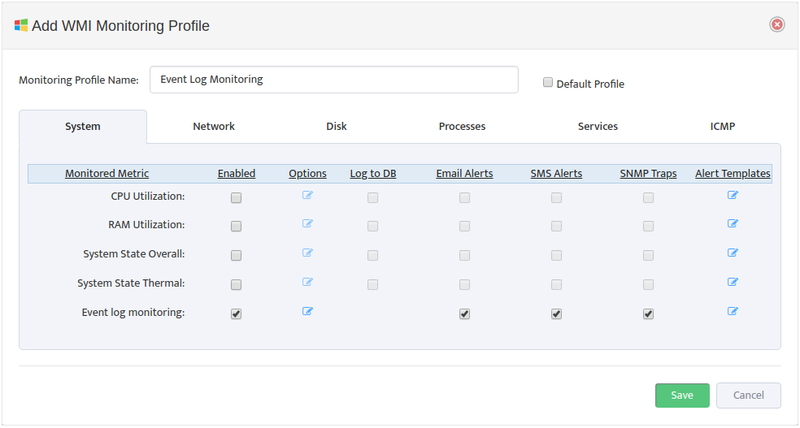 To create a new Profile, go to the Nectus Home Screen and select Monitoring -> SNMP Monitoring Profiles -> Profiles – SNMP Interface Monitoring. This opens the “Interface Monitoring Profiles” dialog box. Click the Add Profile button to create a new Profile. To edit a Profile click the Edit icon to the right of the Monitoring Profile for the Group. This opens the “Edit Device Monitoring Profile” dialog box. Some of the parameters here allow you to set Threshold values or other customizations. Set the Enabled checkbox next to each Parameter you want to monitor. 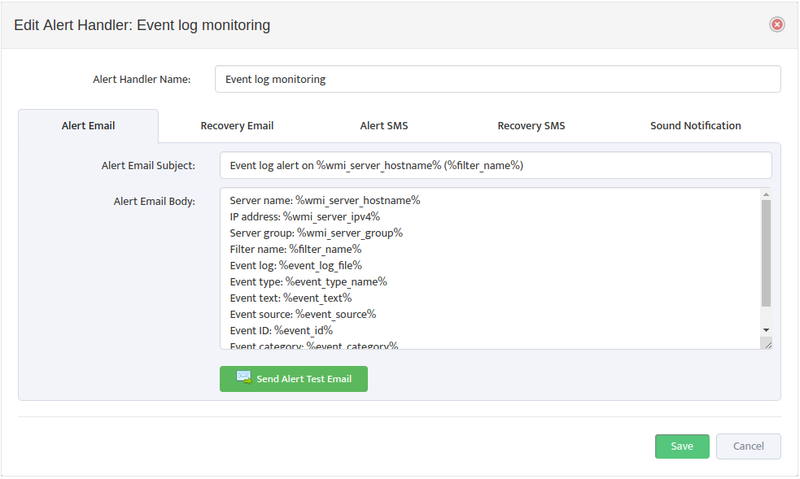 Check any of the Log to DB, Email Alerts, SMS Alerts, or Traps Alerts boxes to send those types of alerts. To customize the alerts, click the Edit Alert Templates button to open the “Edit Alert Handler” dialog box. If you select Email Alerts or SMS Alerts, Nectus will generate Alert messages when the Monitored Parameter exceeds threshold and Recovery messages when the Parameter returns to normal. Selecting the tab for one of these messages allows you to customize the appearance of that message. Once you have created the Monitoring Groups you want to use you need to place Interfaces in them. To do so, click the Monitoring Group Name to open the “Edit Monitoring Interface Group” dialog box. Select the Group you want to add Interfaces to on the left, and the Group you want to take them from on the right. Use the arrows to move Interfaces between the two Interface Groups. Note that if you move an Interface that is currently being monitoring into the No Monitoring Group, Nectus will immediately stop monitoring that Interface. This can be useful for situations where you know an Interface will be down for some time (extended maintenance, for example) and you don’t want the system to send alerts. In this chapter, you’ll learn how to enable monitoring and create monitoring groups for SNMP Devices. 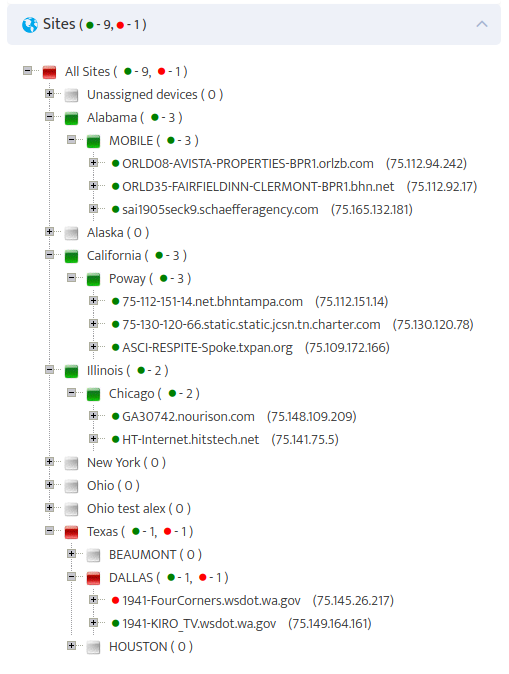 Nectus automatically discovers all live SNMP Devices. These devices are listed in the SNMP Devices Panel on the Home Screen. While Devices are detected automatically, they are not automatically monitored. New SNMP Devices are automatically added to the default “No Monitoring” Group. of the group where monitoring is enabled. 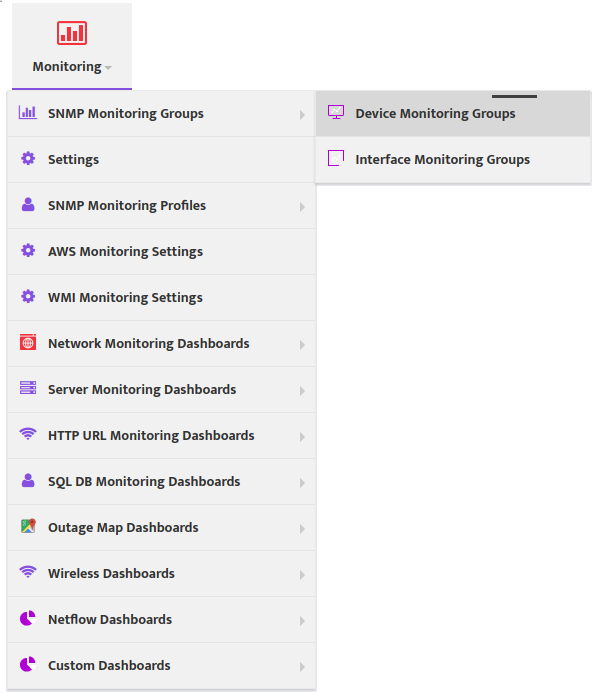 To create and activate SNMP Device Monitoring Groups go to the Nectus Home Screen and select Monitoring -> SNMP Monitoring Groups -> Device Monitoring Groups. This opens the “Device Monitoring Groups” dialog. No Monitoring Group – Devices in this group are not monitored, and appear with a grey icon in the SNMP Devices Panel. Default Monitoring Group – Devices in this group are monitored by Nectus. Their icons are either green or red, reflecting the state of the Device. Click the Add Group button to open the Add Monitoring Device Group dialog and create an additional Monitoring Group. To monitor a group, check its Enable Monitoring box in the Device Monitoring Groups dialog box. Next click the Edit Alert Recipients icon to open the Alert Recipients dialog box and select lists that specify who will receive alerts from this particular Monitoring Group and Profile. Each Monitoring Group must have a Device Monitoring Profile that determines which parameters are monitored. You can customize this Profile, and create additional Profiles for each Monitoring Group. To edit the default Profile or create a new one, click the Edit icon to the left of the Monitoring Profile for the Group. This opens the Edit Device Monitoring Profile dialog box. Each of the four tabs in this dialog contains parameters you can monitor. Many of the parameters allow you to set Threshold values or other customizations. To customize the alerts, click the Edit Alert Templates button to open the Edit Alert Handler dialog box. 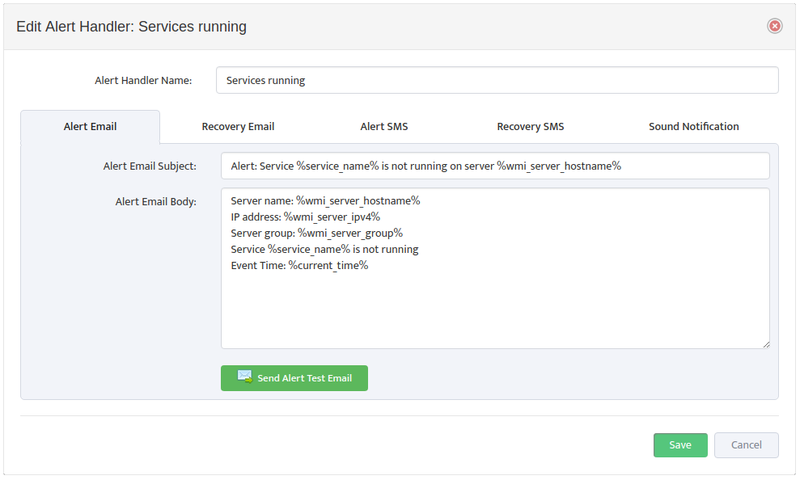 If you select Email Alerts or SMS Alerts, Nectus will generate Alert messages when the Parameter goes out of bounds and Recovery messages when the Parameter returns to normal. Once you have created the Monitoring Groups you want to use you need to place Devices in them. To do so, click the Monitoring Group Name to open the Edit Monitoring Device Group dialog box. Select the Group you want to add Devices to on the left, and the Group you want to take them from on the right. Use the arrows to move Devices between the two Device Groups. Note that if you move a Device that is currently being monitoring into the No Monitoring Group, Nectus will immediately stop monitoring that Device. This can be useful for situations where you know a device will be down for some time (extended maintenance, for example) and you don’t want the system to send alerts. We are very happy to announce the launch of our Nectus Partner Program. We are inviting all Professional Services Organizations and Independent consultants to become an Integration Partner for the best Network Monitoring Solution of 2018 and take advantage of enormous commissions that we offer to all of our Nectus Partners. Please contact sales@nectus5.com for additional details.